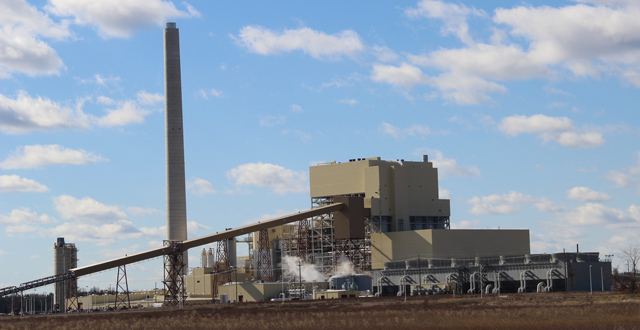 The John W. Turk Jr. Power Plant is the only U.S. plant in operation using advanced ultra-supercritical technology. Congratulations to John W. Turk Jr. Power Plant, POWER Magazine’s 2013 Plant of the Year. In its announcement, POWER noted that Southwestern Electric Power Company (SWEPCO) overcame numerous legal and regulatory obstacles to build the first ultra-supercritical (USC) power plant in the U.S. This technology allows the plant to operate at higher temperatures, making it more efficient, and resulting in lower emissions than other existing coal-fired plant technologies. Each year, the Plant of the Year award is presented to a power plant that leads the industry in the successful deployment of advanced technology and maximizing efficiency while minimizing environmental impact. Typically, the winning plant has entered commercial service within one or two years. POWER Magazine editors select the winner based on nominations submitted by suppliers, designers, constructors and operators of power plants. “As AEP worked on the Turk Plant, I think we knew we were working on something special. But, the reality of this plant’s operation is surprising, even to us,” commented Venita McCellon-Allen, president and chief operating office of SWEPCO. “The plant is more efficient than we contemplated. It is running at high availability, producing reliable, efficient electricity for SWEPCO customers. “We all should be proud of Turk’s performance. It’s exciting to have this performance recognized by our industry colleagues,” McCellon-Allen concluded. Turk is the only U.S. plant in operation using advanced USC technology. The technology provides a more efficient steam cycle. Resulting efficiencies are in the 39 to 40 percent range. This means that approximately 39 to 40 percent of the thermal energy in the fuel comes out as electric power. The plant requires less coal and produces fewer emissions to generate the same amount of power as existing coal units. The 600 megawatt Turk Plant was declared commercially available Dec. 20, 2012. POWER Magazine is a leading information source for the power industry. It provides information on best practices, safety and improved productivity, as well as business, legal and regulatory news. The publication’s other award categories are its Marmaduke Award for excellence in plant problem solving, Smart Grid Award and Top Plants (gas, coal, nuclear and renewables) awards.